In RUSH HD your goal is to put colored cubes in slots of the same color, however you have very limited control over the cubes meaning that you have to be clever in order to solve this game's challenging levels! 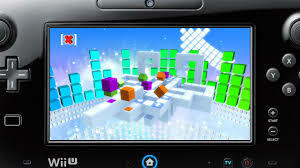 You place panels in the cube's path to change the direction they move, stop them temporarily, among other effects and you only get a set number of each panel in each level. The stages start off easy, but eventually become exceptionally difficult which will bring joy to retro gamers who love a good challenge! 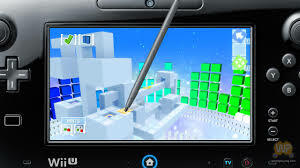 The game can only be played with the Wii U Gamepad and features amazing touch control integration. 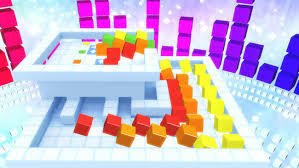 The controls are very easy to learn and allow you to concentrate on the game's difficult levels! The visual style in RUSH HD is simple yet striking with alot of depth in the stages and the design of the levels are simply brilliant! The music is decidedly retro and will get you into the groove of the game! Overall the presentation might be simple, but it looks and sounds amazing! With perfect gameplay, flawless touch control integration, and amazing graphics and music RUSH HD is a no brainer for any fan of the puzzle genre and its price makes it a perfect eshop stocking stuffer for this Christmas! I would get this in a heartbeat if I had the funds to do so. Nice review, but I'm going to pass. I'm too busy downloading eshop games to worry about downloading WiiWare games. edit; Oops this is an eshop game so I guess I'll be downloading this later! Awesome review! Now I just need to get an eshop card so I can download RUSH! After reading this review I want to get this game now! This game was boring imho, but that's a personal issue since I'm not much of a puzzle game fan and says nothing about this game which I'm sure is great. Not a bad sounding game, but I'll pass since I already have the WiiWare version of the game.